‘Christmas made easy’ is all about thinking ahead, preparing as much as you can before the big day, freezing, fridging or just peeling ahead, so that on this very special day, instead of standing over the sink or cooker, you can spend more time with the extra-special people in your life. Over the last few years of writing our blog, I have written various stories of Christmas, and getting ready for it, both at our old house, with a huge kitchen, a 4-oven AGA and an electric oven, and at our new house with a tiny kitchen, an electric oven and a useless hob. But whatever the kitchen and cooking appliances were like, we still managed to create Christmas meals to remember. In fact, the first Christmas at our old house, 18 years ago, our Christmas food was cooked on a 2-ring Baby Belling cooker, as we had only just moved in. And it still managed to taste fabulous. But I realised that I had all these bits of useful information scattered all over the place, and thought it sensible to put it all together in one ‘Christmas made easy’ story – not just for me, but for anyone interested in preparing ahead as much as possible for the big day. So here goes. Buy Sprouts on a Stalk, twist off stalk, peel and trim the base, blanch for a minute in hot water, drain, then put in freezing cold water to chill. Drain well, then pack in boil in the bag freezer bags. On Christmas morning, take out of freezer, keep in bag, bring water to the boil and, if just keeping simple, cook the sprouts for 7 – 8 minutes. If you just want to part-cook them, only boil for 2/3 mins, then drain well. You can stir fry them at the last minute, even shred them if you like, with such as pancetta, ginger or chestnuts, add a big knob of butter and a good twist of black pepper. If you want to get ahead with your carrots or parsnips, peel and parboil for only three minutes, drain, cool and freeze. Take all out of the freezer on Christmas Eve and put into the fridge. Then cook or boil as normal. Carrots and Parsnips are brilliant par boiled then tipped into a pre-heated roasting pan with hot oil for 25-30 minutes. Add a splash of Maple Syrup or Honey towards the end of cooking. Gorgeous! Now, Potatoes. To save time on Christmas Day, you can partly prepare your Roast Potatoes. Peel and parboil for five minute, drain really well and cool. Open freeze on a tray for 15 minutes then carefully place in a freezer box. On Christmas Day, I usually heat a roasting try with oil, and when hot, tip the defrosted potatoes on to it. Cook for 10 minutes then take out and move aside. Later, when the Turkey is taken out, put the potatoes in for 35/40 minutes, turning over occasionally. But if you want the lovely fluffy roast potatoes, you will have to cook them from scratch on Christmas Day to fluff them up in the pan before you roast them. To save on washing up, I first put the roasting tin with oil in the oven to get very hot, then I boil my potatoes for 5-6 minutes, drain well, put the lid back on and then shake the pan to fluff up the edges of the potatoes. Tip the potatoes and any bits left in the pan in the hot oil for 10 minutes, turn over, then take out of the oven. Finish off the roasting when the Turkey is out of the oven. 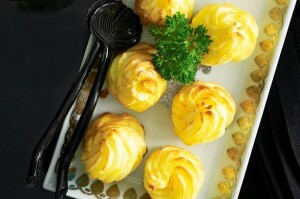 sharingourfoodadventures.com Duchesse Potatoes, freeze ahead. One year, when catering for a lot of family and friends, I decided to have both Roast Potatoes plus Duchesse Potatoes. So cooked a lot of peeled potatoes in a pan of boiling water, until soft, then I drained them well, added a big dollop of butter, some grated Parmesan cheese, a beaten egg and seasoned well to taste. I then used a big icing nozzle and piped this mashed potato into Duchesse style whorls onto a baking tray, cooled them then put them into the freezer until frozen. When fully frozen, I careful put them in a plastic freezer box and froze them for 2 weeks. They needed about an hour to defrost, then 20 minutes in the oven at 200C/180F. The addition of the beaten egg helps to make them gently brown on the ridges. The children love these. 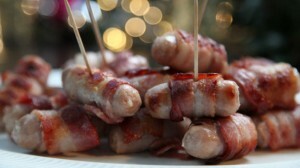 Sausage and bacon rolls (or Pigs in Blankets as they are now called) are so easy. I buy good chipolata sausages, and lot of streaky bacon, then wind the bacon around the sausages, trying to cover most of the sausages. Put these into a freezer bag, and freeze. I take them out of the freezer on Christmas Even, put in the fridge, then make sure I take them out of the fridge 2 hours before cooking. I always add a big glass of Madeira wine to the Turkey for it’s last 3/4 of an hour in the oven, and I add the sausage/bacon rolls to the base of the Turkey dish to cook. They have all the lovely Turkey flavour, and when the Turkey is taken out of the oven, I put the sausage/bacon rolls on a tray just to crisp up for the final 10 minutes before serving. 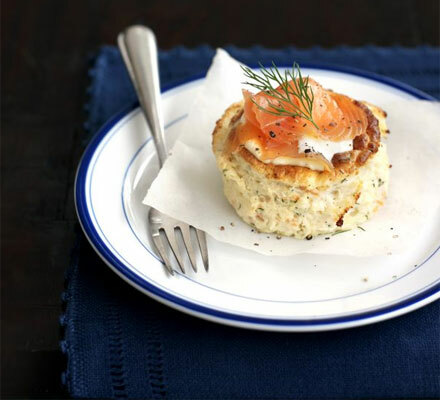 I make loads of these, because we like to eat them on Boxing Day. The same goes for my Forcemeat Stuffing (click for Recipe). This can be made weeks ahead as a dry mix and frozen. Take out of the Freezer on Christmas Eve, same as the sausage/bacon rolls, put in the fridge and take out 2 hours before cooking. Follow the recipe. We all love to eat these Forcemeat Stuffings hot and crispy on Christmas Day, but I make loads as we also love to eat them cold on Boxing Day with the remnants of the Turkey, the Sausage & Bacon Rolls and, my favourite, weird as it may sound, dipped into cold Bread Sauce. This Giblet Stock recipe (click for recipe) is handed down from my Mum, who I believe found it in a Mrs Beeton cookbook. Giblet Stock does not make for a fantastic photograph, but it should be a light golden colour (or a richer colour if you roast the giblets) and turns to a thick jelly when refrigerated. But the problem is I like to buy a Turkey with Giblets, (which do seem hard to find nowadays) to make the stock for the gravy, so that after our Christmas Dinner we still have loads of Turkey meat to make up pies etc., after which I will find my biggest stockpot and tip in the turkey bones, remnants of the giblet stock and turkey gravy, add lots of water, an onion, carrot and celery plus a small handful of black peppercorns, bring to the boil, then simmer for a couple of hours to make superb Turkey stock to add to homemade soups. I freeze this in plastic freezer boxes to use over the next few months. The taste this homemade Turkey Stock makes to soups, especially packet ones if you haven’t time to make soup from scratch, is amazing. One my favourite ways to use the Turkey Stock over the Christmas period is to use 2 or 3, dare I say, ready made packets of Minestrone Soup. I gently fry some chopped bacon or pancetta, add finely chopped garlic and shallots, a big dollop of tomato puree then add the packet mix, a lot of stock, a sprinkling of Italian herb mix, (I even add the last remnants of a piece of parmesan which adds such flavour). Bring to the boil and simmer well in my stockpot, stirring from time to time. Then I tip in tiny pasta stars, or pasta Christmas tree shapes, and simmer until the past is softened. A great big bowl of this soup is brilliant during or after Christmas or New Year. Well worth making and the wonderful scent that wafts around your kitchen and the rest of the house on Christmas Day will stay with you forever. 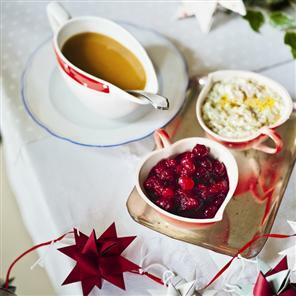 This Mulled Cranberry Sauce recipe (click for recipe) is taken from Delicious magazine, and after searching for a recipe that really appealed to me, and was suitable for freezing for up to 6 months, this is the one I have chosen to prepare for our Christmas Dinner. The flavours sound warm and gently spicy, and I’m going to at least double or treble the ingredient amounts so that I have some in my freezer over the cold months to eat with Venison, Pork or Chicken dishes. A little touch of Christmas spice to enhance our meals. Looking forward to Mulled Cranberry Sauce. Confession Time! I just love Bread Sauce – the gentle taste and smell of cloves is one of my favourite aromas. I have made it from scratch may times, sticking cloves into an onion and infusing the milk etc., but I have recently given up because I find the packet mixes of ‘Luxury Bread Sauce’ are as good as if not better than my homemade sauce. So instead of making it and freezing it, I just follow the instructions, usually having to add 300ml of milk per packet, and I may add an extra pinch of dried cloves and a grating of nutmeg plus a knob of butter or a spoonful of cream towards the end. I think each family has it’s favourite foods to eat over Christmas – some handed down through the generations, with warm, sparkly memories associated with each mouthful. 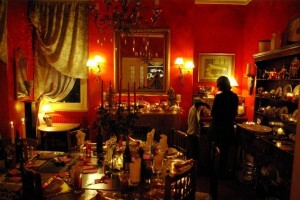 These are a list of our special dishes that we l0ve to eat at this time of year. Just click on any of the recipe titles and it will take y0u straight through to the recipe. 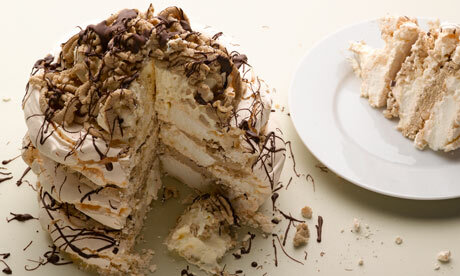 Who could resist this luscious cake made with crisp meringue layered with sweet chestnut, sweet, soft ricotta and drizzled with dark, melted chocolate. Certainly not me! 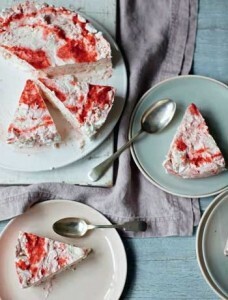 Brilliant dolloped over Christmas Pudding, Mince pies or any warm Apple or Pear dessert. Not to be missed from your special table. These can be part-baked, then finished off. Or, even better, part-baked and frozen, then thawed and finished off! Perfect for a special or important meal. Well,’Christmas made easy’ will, I think, remind me how easy it is to be better prepared for Christmas, this year and for the future. There a a lot more recipes if you want to have a look – go to the Menu bar across the upper part of the page, click on Food, then Recipes or go further down to the bottom to click on Christmas. There you’ll find a lot of pictures and foodie memories, which are quite precious to me. I hope you enjoy them and I hope this helps you have a more relaxing Christmas.